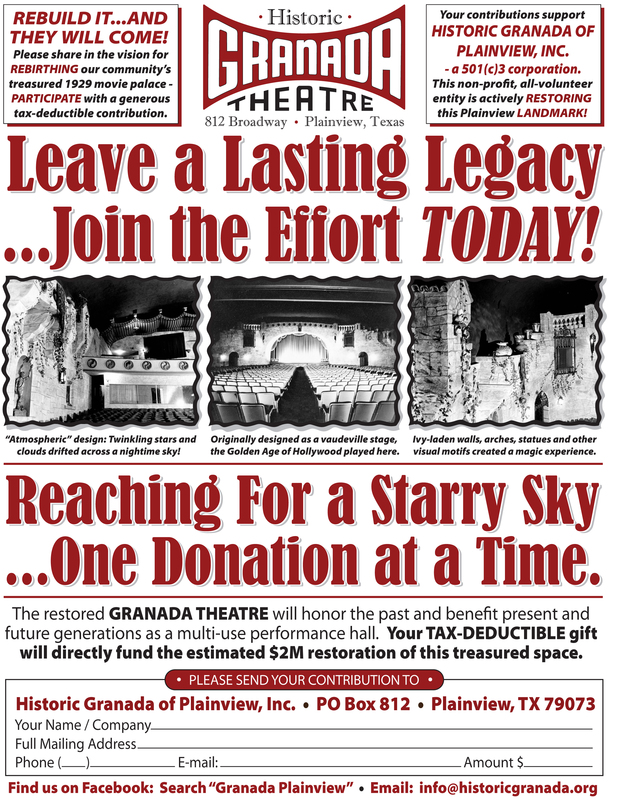 Our story was prominently featured in the August 2015 issue of TEXAS MONTHLY – We were delighted to be included as a feature story in the "national magazine of Texas” on page 37…complete with two color pictures and a wonderful background history of the theatre. Check it out via this link here. RESTORATION NEWS UPDATE: Vintage marquee work is completed! We are looking for original posters, flyers, programs or anything from the original Granada pre-1978! We are looking for underwriters, sponsors and individual contributors for this on-going restoration project! Please LIKE and "Add to Interest List" on Facebook to follow our story and stay updated....then help us SHARE the news to get the word out. Visit our Facebook page for more updates. Thank you! !